Serial Killer (working title) is a proof-of-concept social simulation roguelike. The sole gameplay purpose is to let the player kill (or not to kill) in-game NPC's. Serial Killer was formerly written using Python and libtcod wrapper. 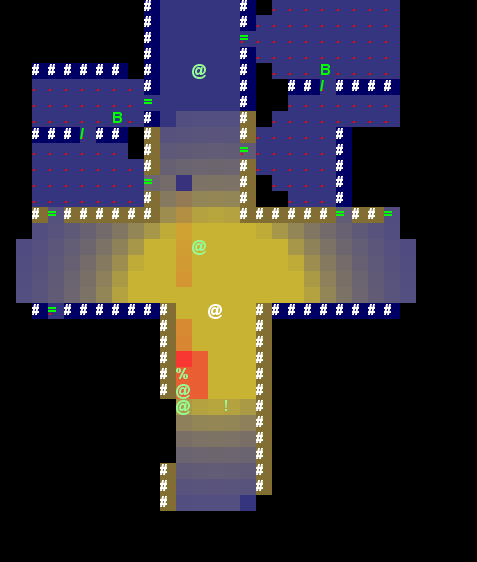 Rewritten in 2012 using opengl-based java renderer and LWJGL library. You can play latest development build in the browser >> here <<. Jskiller (Java Serial Killer Roguelike) is a prof-of-the-concept project. It is currently an early alpha prototype. It has basic gameplay features like npc, ai, town map generation, inventory, simple gui. Hoover, it has no goal, no score system, no challenges. Developer is currently in search of gameplay conception, so feature requests are gratefully acceptable. This page was last modified on 28 March 2012, at 22:14.